July 11, 2018 -- Radiology is about to get a powerful new ally at the helm of cardiology after the European Society of Cardiology (ESC) announced this week that Dr. Stephan Achenbach, head of cardiology at the University of Erlangen in Germany, has won the election to be its next president. The need to work in partnership with radiology is one of Achenbach's core philosophies, and he is an advocate for collaboration and building bridges. He meets regularly with the chief of radiology at Erlangen, and the two departments share a CT scanner, have a joint team of researchers, and work on shared projects. He admits that differences do emerge, particularly relating to scheduling and financial issues such as billing, but both sides work hard to prevent turf battles. "Science is greater than segmentation by subspecialties," he told AuntMinnie.com in October 2017, when he received the most influential radiology researcher award. "In the end, it is about the patient; in our area of work we need knowledge from both sides, and it does not really matter which side we are approaching the patient from." In his manifesto for the ESC presidency, Achenbach listed imaging (specifically cardiac CT and MRI) as his second main area of clinical focus after interventional cardiology. 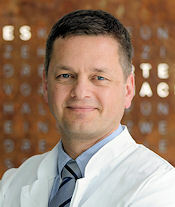 Also, he cited cardiovascular imaging as his top research priority, and Achenbach is the editor in chief of the Journal of Cardiovascular Computed Tomography. He was president of the Society of Cardiovascular Computed Tomography between 2005 and 2007, as well as a member of the Cardiac Imaging Committee of the American Heart Association from 2010 to 2014. Achenbach wants ESC to remain a solid and respected society with a thriving membership, he noted in the manifesto. He thinks it's vital for ESC to adjust to new technologies, medical developments, and regulations and to provide guidance and services to members and the cardiovascular community. In terms of education and training, the society's priorities are to produce unbiased, robust scientific information and instill a sense of community. Achenbach listed his priority initiatives as support for early-career researchers, organizing leadership development programs along with the academic community and constituent bodies, and building a successful digital infrastructure by means of congresses and education, registries, atlases, and science. In addition, he said he wants to improve ESC communications and tackle inequalities by means of clinical mentoring and exchanges, support schemes, and travel grants. Achenbach, who is still only 52, has been involved in cardiac imaging research for 30 years. He conducted his first project in 1988, investigating the use of magnetocardiography in detecting premature beats that originate from the heart ventricles (premature ventricular contractions [PVCs]). This meant designing and building a special catheter -- "quite an engineering job," he recalls -- and it introduced him to MRI. "My time there gave me an international perspective and broadened my outlook," he said. "It made me more professional about how I approached everything, and it introduced me to the U.S. ways of doing research and showed me how professional organizations work. It also helped me with connections and gave me new skills to organize meetings and give presentations." Achenbach thinks Erlangen's fairly small population of about 100,000 helps foster collaboration because many people in the medical and scientific communities know each other. Another bonus is the strong historic presence of Siemens Healthineers in the region. "This brings with it great global opportunities, not pressures," noted Achenbach, who was formerly vice president for global affairs and communications at ESC and chairman of the Congress Program Committee for the ESC 2017 and 2018 annual meetings. "I always receive opinions, of course, but I've never ever felt any commercial pressure to carry out research in a certain way or publish something I've not been entirely happy with." His current interests include connecting CT to cardiac intervention -- particularly transcatheter aortic valve implantation (TAVI) or transcatheter aortic valve replacement (TAVR), as the procedure is sometimes known -- plus other coronary and noncoronary cardiac interventions, as well as dose. He is excited about the possibilities of extending CT into the detection of ischemia rather than merely stenosis. Achenbach's main tip for young researchers is to start off with a small project and build up to more substantial studies. Having a genuine interest in research and attempting to answer a question that you really want to look at also are vital, along with resilience and focus, he said. The nominating committee, representing the national cardiac societies, comprised of Dr. Hugo Katus, PhD, from Germany; Dr. Peter Kearney of the Republic of Ireland; Dr. Irene Lang from Austria; Dr. Barbara Mulder, PhD, from the Netherlands; Dr. Joep Perk of Sweden; and Dr. Janina Stepinska from Poland.